As with many industries, the administrative aspect of landscaping (routing, issue tracking, payroll, etc.) used to have to be done manually. Computers were in short supply and the internet, though it existed, was not widely used. Today, we use a software service called Aspire that was created specifically for the landscaping industry and allows us to schedule our crews, track issues on our properties, create invoices and estimates, manage inventory and more all in one program. For our clients, this means more accurate and more timely invoices and quicker turn around on service requests and complaints. Having all of this information in one place also allows us to better analyze data about how efficiently the company is running, and the improved understanding of our numbers better and pass those savings onto our customers. The bidding process has also become more efficient in the past few years. In the past, we would have to manually measure a property in order to provide a quote to a potential client. 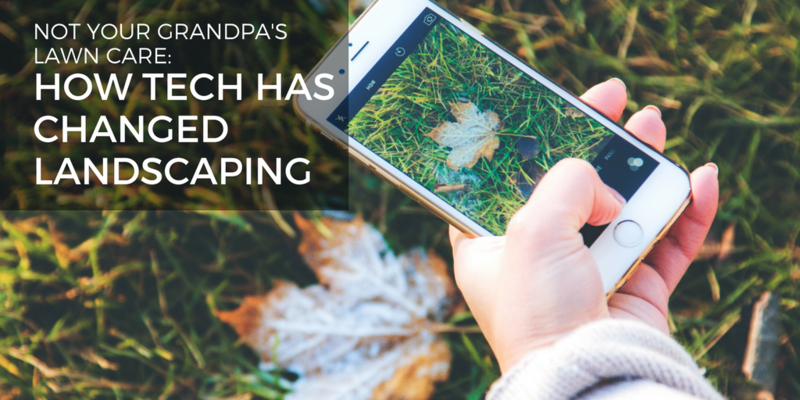 Now, we use geospatial imagery software like Google Earth to accurately determine the size of a property, and that time savings means property managers can choose their grounds maintenance solution faster and focus more on their other responsibilities. Approximately 95% of adults currently own a cell phone, but in 1992 when Schill Grounds Management got its start, that number was only around four percent. Today, all of our crews use tablets that allow us to know their location in real time. For our clients, this means increased accountability and precise tracking of exactly how much time we’re taking to service their property. Comparison of the estimated time it should take to service a property as stated in the contract versus the time our crews actually take each visit helps us not only determine the efficiency of our teams, but also reward them or correct them accordingly. 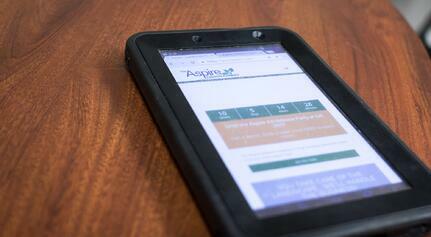 Our crews also use their tablets to track any issues on the properties we manage. This could mean identifying problems they see themselves or logging any complaints or concerns from customers they meet on site, but our clients also have the ability to call our main office or use our customer feedback form to bring any issues to our attention. This improvement in technology has allowed us to implement what we call the sundown rule, which is our commitment to try to address all issues reported by our customers and staff by sundown of the same day. 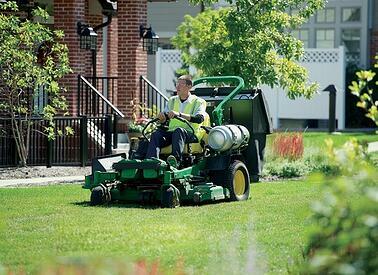 Though they existed when we first started the business, the use of alternative fuels for landscaping equipment has flourished recently as more and more contractors discover their benefits. Propane, which is what we use on our fleet of about 100 mowers, can be half the cost of conventional gasoline, which can be very unstable price-wise. In turn, we end up passing those cost savings onto our customers. In addition to being lower in cost, propane is also safer and better for the environment. It ignites at a much higher rate than conventional gas, which means it’s much less likely to catch fire. And because propane burns cleaner than gasoline, we’ve been able to cut our carbon emissions by up to 70% by making the switch. It’s also nontoxic, which means in the event that there is a leak, it can’t contaminate the air, water, or soil. affect your company's bottom line? 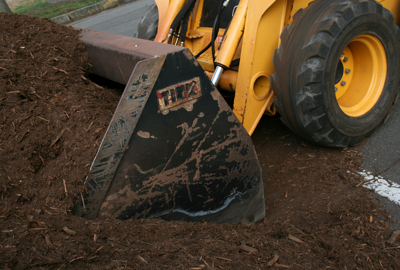 Every piece of equipment we use to distribute bulk materials (mulch, salt, liquid, etc) is calibrated so that we know exactly how much we’re using. Analyzing this data allows us to track the estimated vs actual usage and fix any inefficiencies in our process. While this landscaping technology isn’t new, the increased accuracy and availability of calibrated machines helps to assure our customers that we’re responsibly applying the materials they’re paying for. We’re always attending trade shows and events to make sure that we’re aware of innovative equipment that we can use to help the Schill team run more efficiently. This has become increasingly important because with the economy on the mend and the unemployment rate at the lowest it’s been in over a decade, the landscaping industry has had to make due with much fewer people. Not only has this meant that we needed to be more innovative with technology on the administrative side of our business, but we also have had to make changes to how our onsite crews operate. For example, it used to take three times the amount of equipment to complete a landscape installation, and now we can do the same amount of work much less machinery. This allows us to use our crews strategically and take on more complex projects simultaneously. Where’s the industry headed next? We predict that advancements in automation, robotics, and even artificial intelligence will continue to shape the commercial landscaping industry. There are already consumer level lawn mowers that are self-operating, and it’s only a matter of time before these machines will be viable on a commercial scale. And just like rain sensors can monitor when your landscape is getting the water it needs from precipitation, these machines automatically know when there is inclement weather or when grass needs to be mowed more often due to enhanced growth. Software will continue to advance, allowing for even simpler scheduling, billing, and issue tracking that will ultimately result in a better customer experience. 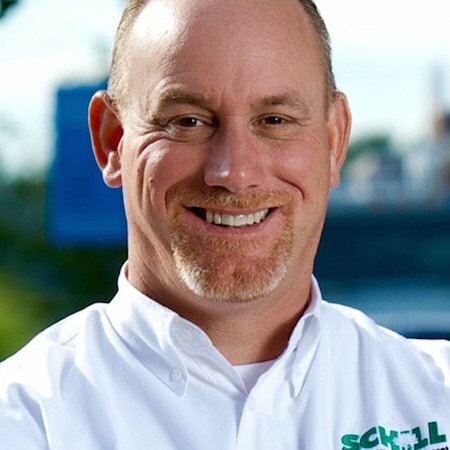 Advancements in technology typically result in better service for our customers, so the Schill team loves to keep track of new trends within the industry. Whether it’s alternative fuels, new equipment, or more advanced software, we’re committed to keeping a finger on the pulse of the industry. We haven’t had a price increase in the past five years, and that’s due in part to the commitment we’ve made to running a lean, sustainable business. If you’re located in the Northeast Ohio area, please don’t hesitate to contact us for a no-obligation consultation, or check out some of the free resources we've created to help you understand your grounds maintenance solution.